Our Key Lime Cake is inspired by the Florida classic, the Key Lime Pie. 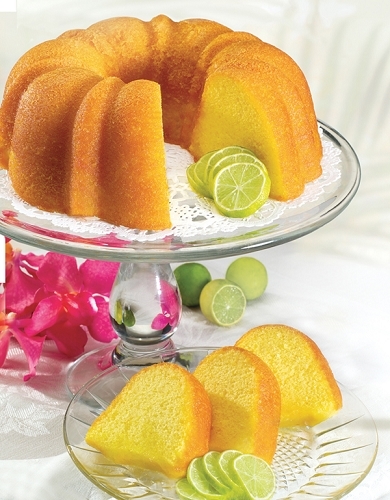 Made with 100% all natural Key Lime Juice, this sweet cake has a burst of lime in every bite. Each cake is finished with a Key Lime glaze, so the flavor soaks into every slice. So incredibly moist, so rich in taste and texture, this Key Lime Cake will take you to the tropics with just one tempting taste, any time of the year!